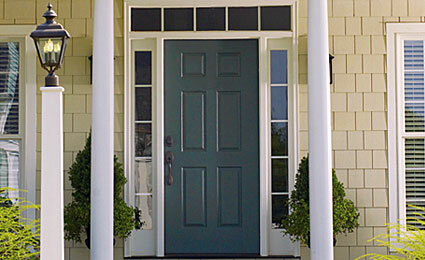 Therma Tru® is the nation’s leading manufacturer of fiberglass exterior doors. Therma Tru® is committed to innovation and strives to meet today’s building trends with high quality, top performance products. Therma-Tru® Fiberglass Entry Door Systems are durable, low-maintenance, energy efficient, beautifully crafted, and can be custom made to your wants and needs. You choose the door height, configuration, style, and glass style to match your personality. Browse our online portfolio to see some of our work!